Co-Optimus - News - Total War: WARHAMMER Giveaway! Hopefully you've taken the time to read our Co-Op Review of Total War: WARHAMMER on PC. 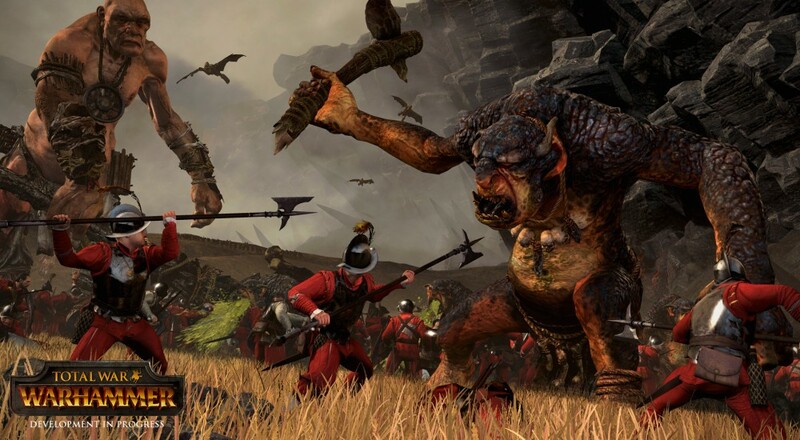 Needless to say, it's one of the best in the Total War series in a long time, and for fans of the Warhammer universe, its surely not to be missed. Lucky for you - we have your chance today to get in on all the action courtesy of a giveaway. Thanks to the fine folks at SEGA and Creative Assembly, we're giving away 5 Copies of Total War: WARHAMMER with 5 codes for the Chaos Warriors DLC. To enter to win, simply click the button below and validate you are a human - or Ork, we don't mind. The contest ends on July 16th at 12 Noon Eastern. Anyone can enter - but you'll need a Steam account to redeem the codes.